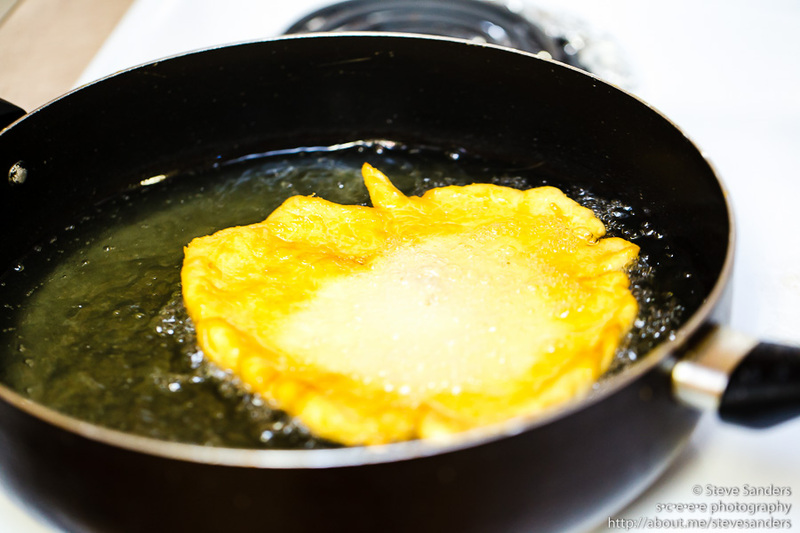 The title to this post is a bit misleading. Perhaps it would be said better if I just said, “WE ARE HOME!! !” That is a victory in itself, but that doesn’t mean that a huge part of me is not still in Bogue Chitto, Mississippi with my friends, both Choctaw and the mission team for the week. A four-day VBS program orchestrated by our new friend, Rachel. A evening at the Choctaw Fair, where we watched the first half of the stickball game where Bok Cito (Bogue Chitto) won against Pearl River. Go Bok Cito! 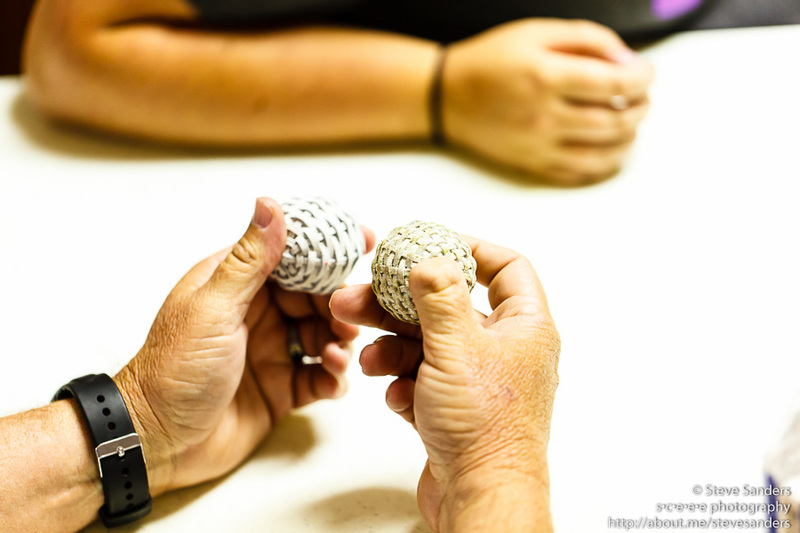 A local Choctaw taught many on our team how to weave stickballs. 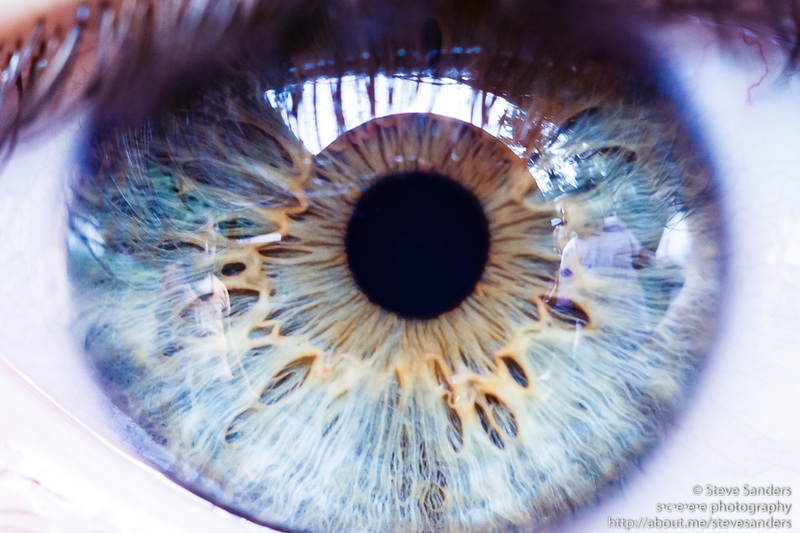 Totally cool! Lots of impromptu stickball games in the front of the church where we stayed between locals and some kids on the mission team. 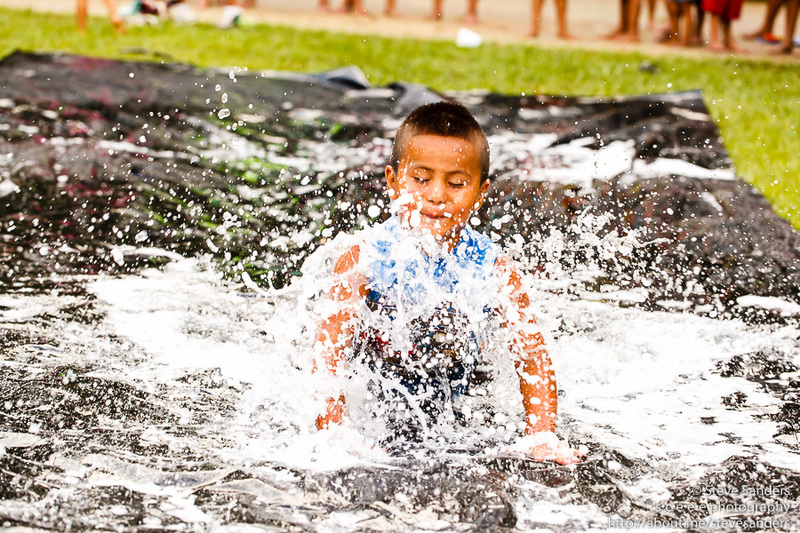 A gigantic slip and slide – what fun! Several visits to a local retirement home from which lots of great stories were told. We helped a local pastor and his wife move. Prayer walks, where we pray for communities, services, leadership, etc. This was a great experience. Covering prayer, where we covered the rest of our group in prayer as they went about their tasks. We spend most of a day cleaning a local church. When we left this morning, and even last night before bed, hugs were exchanged, laughter happened, tears fell, and hearts were bonded. I love the folks in Bogue Chitto, and honestly, I miss them already. I would name names, but there are so many that touched me, so many relationships that were built, so many that I feel bonded to, I worry I would miss one. Each and every one is important to me. 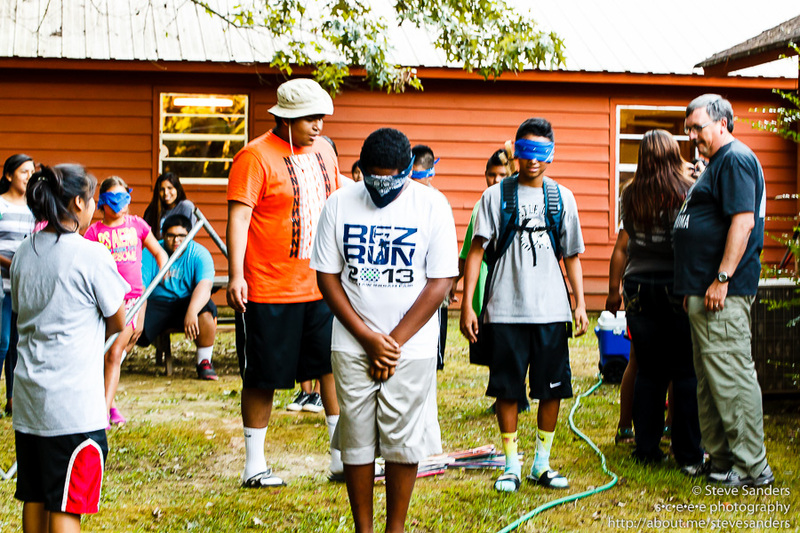 Have you ever been on a mission trip? Have you ever devoted a significant amount of time making the difference in the life of another? If not, you really shouldn’t put it off any more. Consider partnering with a mission group, perhaps even a Native American mission group, and use what you have been blessed with to make the difference in the lives of others. I had a great experience last night working with a young man at our vacation Bible school. Obviously something was wrong, and none of us had been able to get the young man to talk. Finally, he began talking to me last night. After he did we really began to connect and it was the first time I have seen him smile. Tonight he’s going to come back and were going to play a little bit with my camera which really interested him. I’m not sure what’s going on in his life, but I really hope that this makes a difference for him. We have just finished visiting the Choctaw Residential Center. This is a nursing home in the Philadelphia area. No one on my team feels particularly called to this ministry, but we all had a good time. I worked a puzzle with a nice lady name Shirley and a young man named John was there visiting his grandmother. 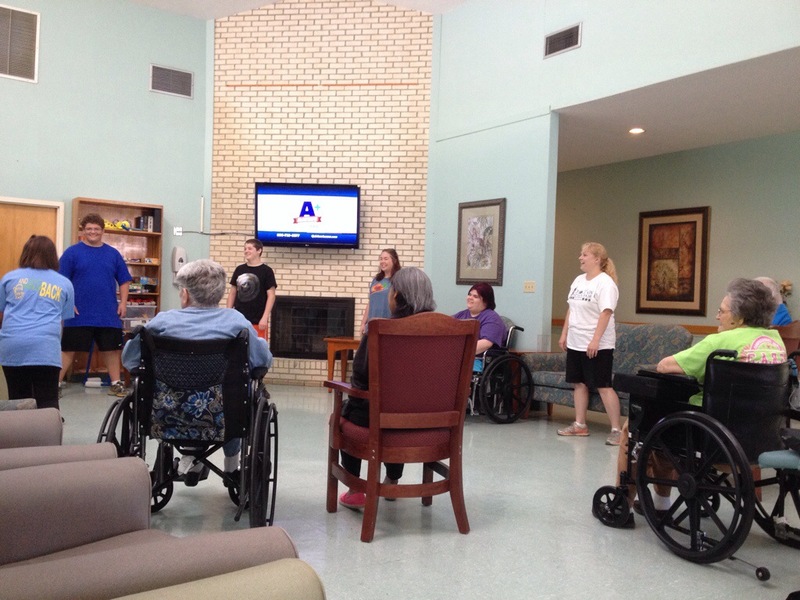 The rest of the team played ball with several of the residents. It sounded like they were having a good time. If you would like to donate to help pay for our trip, it’s not too late. 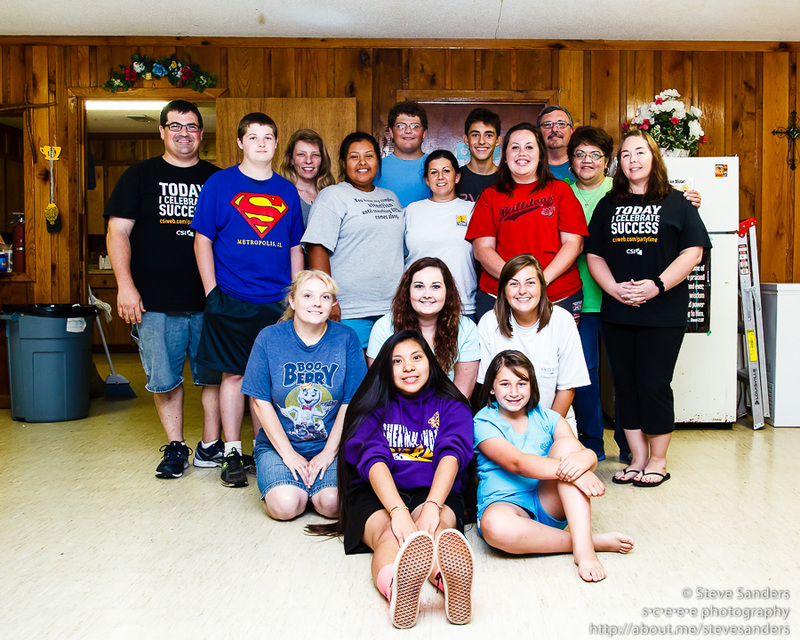 Just head over to GoFundMe and see our page on Choctaw Mission 2014. 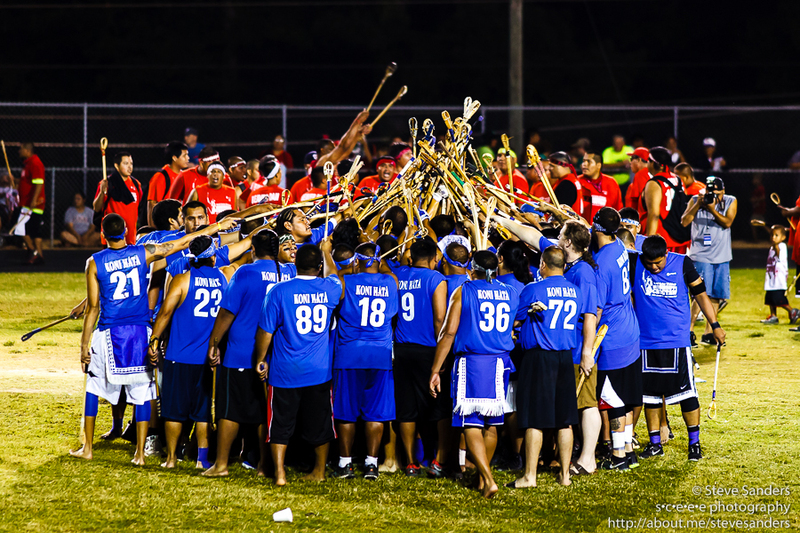 Have you ever heard of Stickball? No, I don’t mean baseball, and I don’t mean lacrosse. 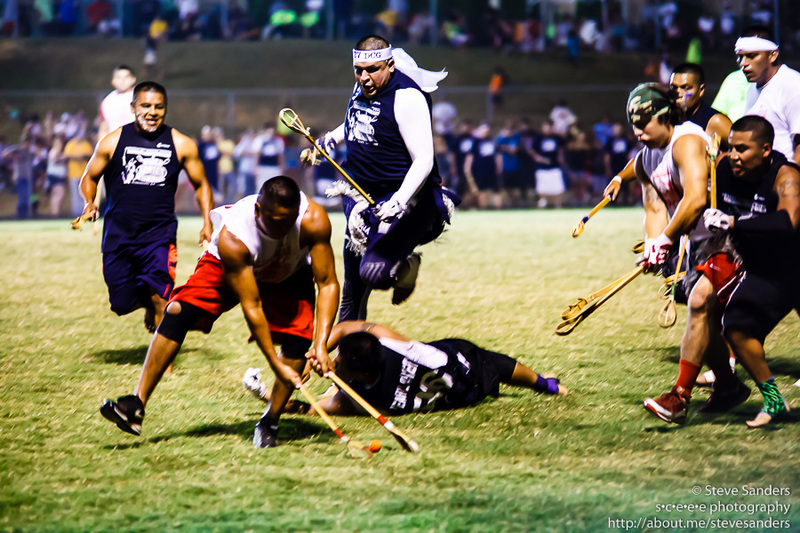 The Choctaw Indians, as well as some other tribes, play a game called Stickball. Though I am probably off a little on the specifics, it is roughly 100 people on a football sized field, each with two stick with a tiny basket on the end. The players are attempting to get a ball about the size of a golfball from one end of the field to the other without using their hands: throwing, scooping, and carrying, though you wouldn’t want to carry the ball far. You see, if you are carrying the ball, you are fair game for something like a tackle in football, though much more rough. 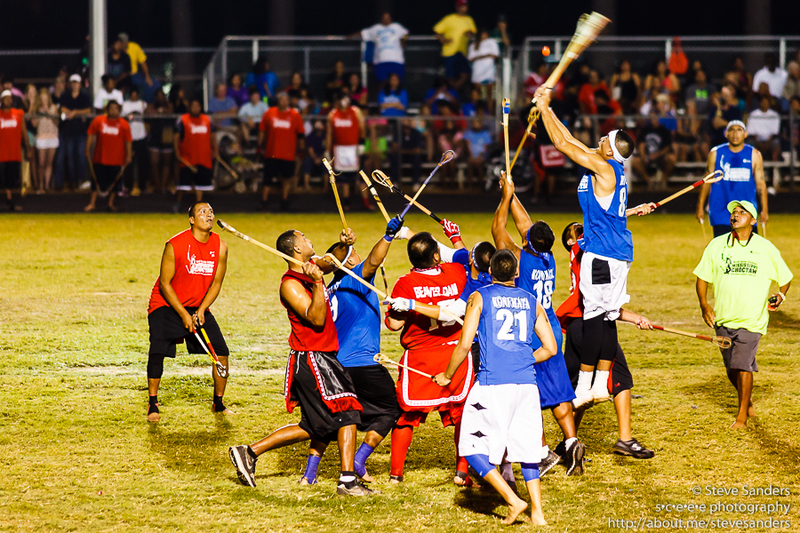 By the time this post goes live, my family, my home-based church, and several other folks will be watching the final game of the World Series of Stickball. They don’t play the final game until late in the evening, so we may not stay to watch it all, though my plans are to do so. Last year it was amazing to watch the teams come on the field. There were so many players, and the teams were generally led by drummers who pounded on their war drums. The players hit their sticks together in a most menacing way, letting out war cries as they took the field. This is, to these young men, no game. They are here to win. A player from Beaver Dam prior to the game. This year the final game is Saturday, July 12th, and will start sometime after this post goes live. With any luck Bok Cito (Bogue Chitto) will be in the final match. Lot’s of love to that team, which is the town where our mission trip is based. UPDATE: Bok Cito won in the semi-finals against last year’s champion, Beaver Dam. They will face Pearl River tonight in the finals. Today is the day!!! 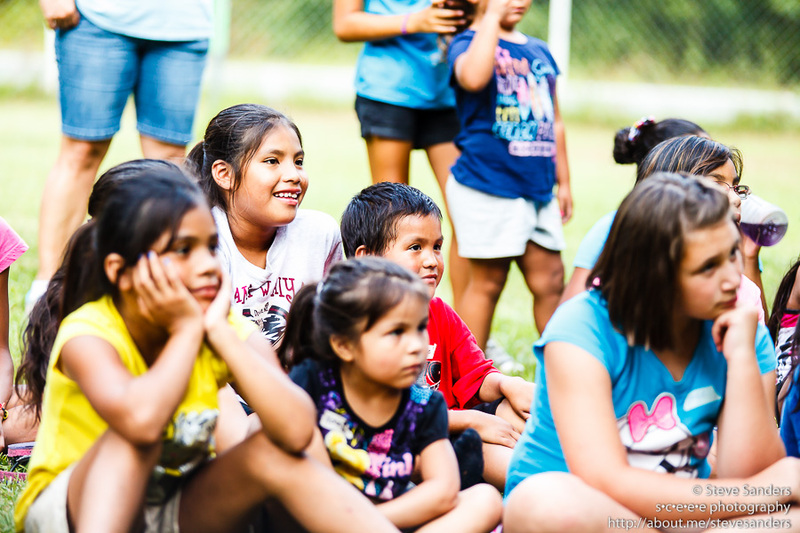 We leave this afternoon for the first leg of our journey to Bogue Chitto, Mississippi for our annual mission trip to the Mississippi Band of the Choctaw Indians. We’re staying over tonight in Tupelo, Mississippi (praise God for hotel points! ), and then tomorrow we will drive a few more hours to Bogue Chitto. Would you please go check out our Choctaw 2014 GoFundMe page? While you are at it, please don’t skip over the video slide show from last year. I know that sounds boring. Seriously, go check it out. There were several new donations yesterday, and we are getting close to our goal. I will continue to ask though – won’t you consider a small donation to help pay for the transporation on this trip? Any amount helps. During the week I hope to post updates here, and I will leave the fundraiser open until we get home. Once again, thank you to all who have given and all who are praying for us. May you be blessed by God.